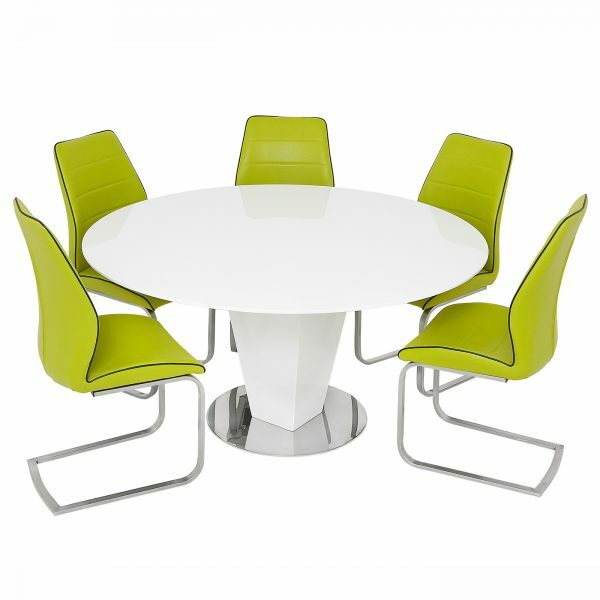 1.5M Round White High Gloss Table on Inverted Pedestal & Steel Bases. 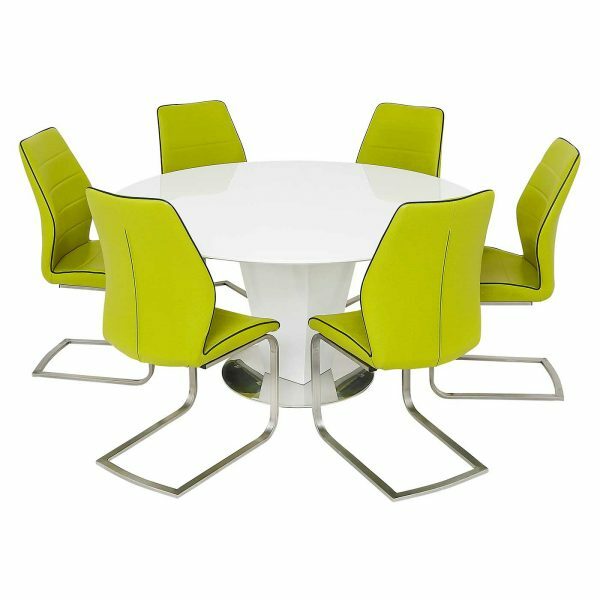 This is the perfect Table for seating 4-6 diners, and the stylish Pedestal combined with the White Gloss makes this a seriously stylish focal point in any dining area. The Table is shown with the Green Ancona Dining Chairs.